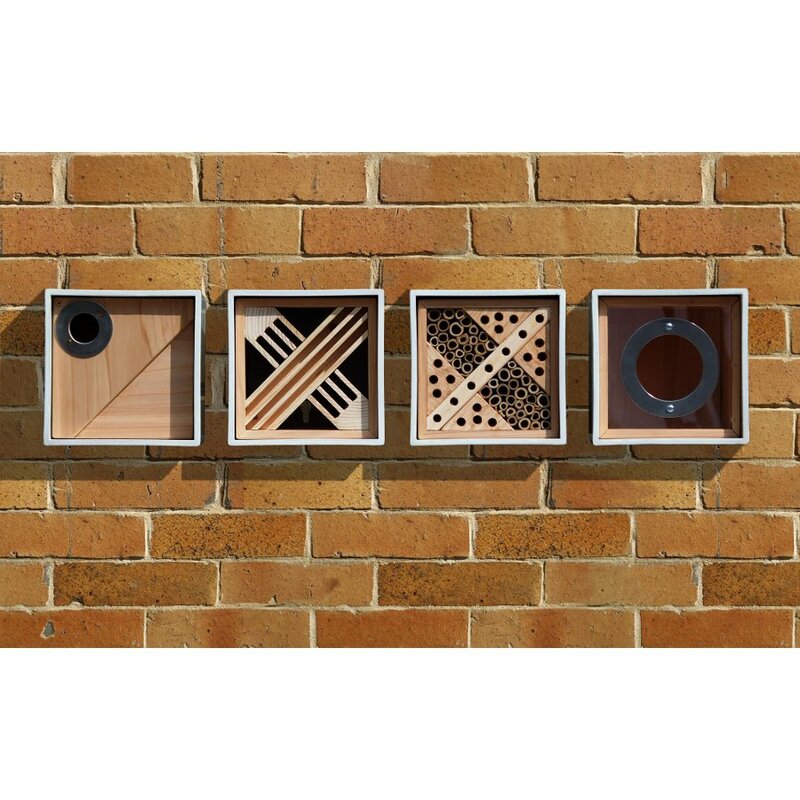 With a sleek and contemporary design, this bee nester box is ideal for urban surroundings and it has a combination of modern materials mixed with natural timber. The outer shell of the nester is created from Clayplas+, which is a composite material of clay and recycled plastics. Claypas+ is extremely durable and as it is recycled it is also environmentally friendly. The removable inner section is produced from natural FSC timber and drilled canes. 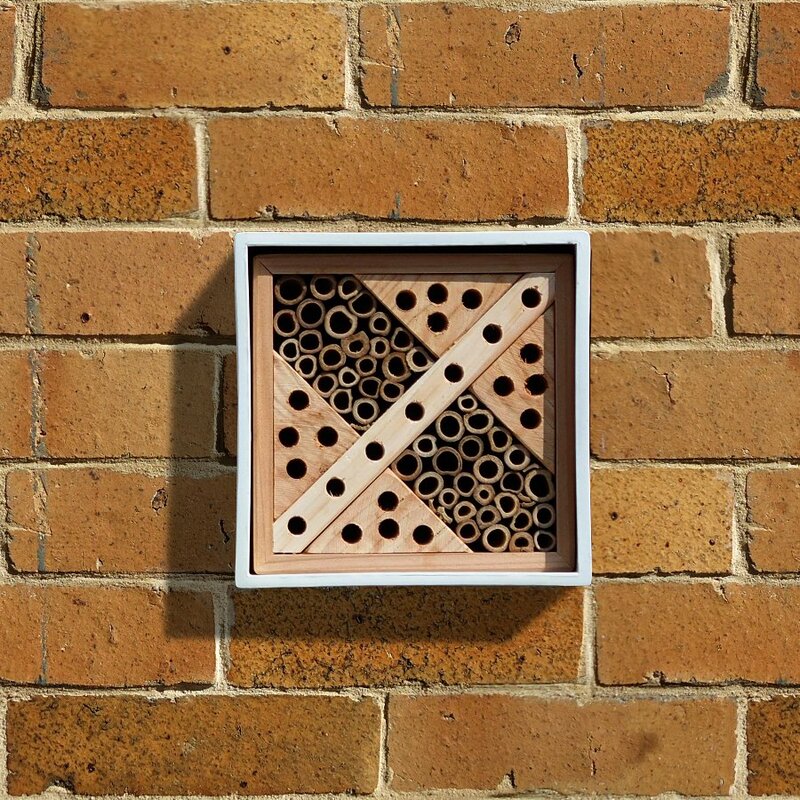 The holes in the timber and canes are the perfect size for solitary bees, which are non-swarming, safe around families and pets and excellent for flower and garden pollination. 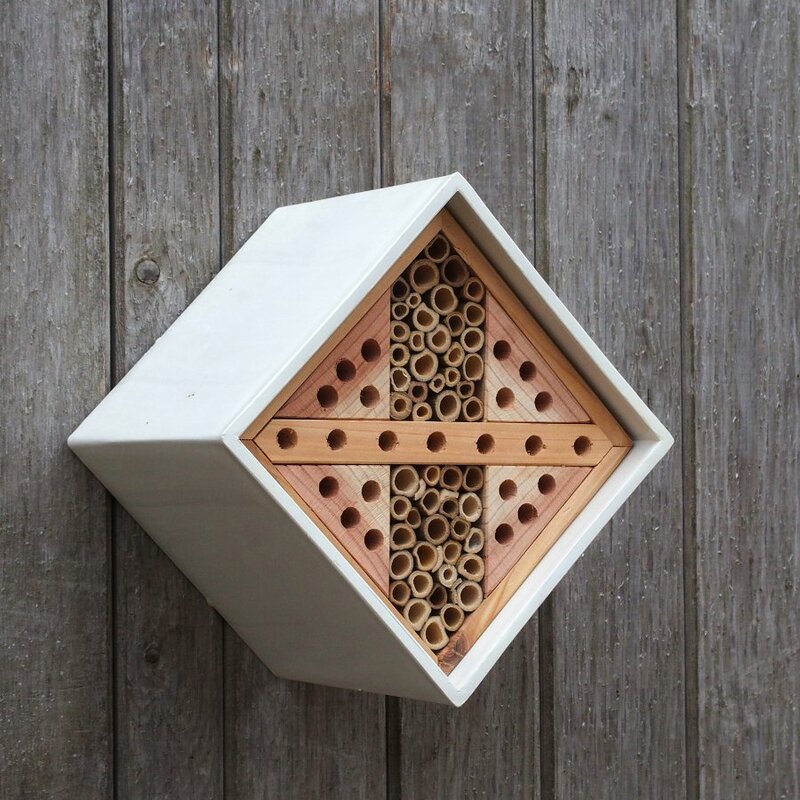 The outer shell has dual keyhole hanging points so the bee nester can be hung square on or as a diamond. H16 x W16 x L15.5 cm. 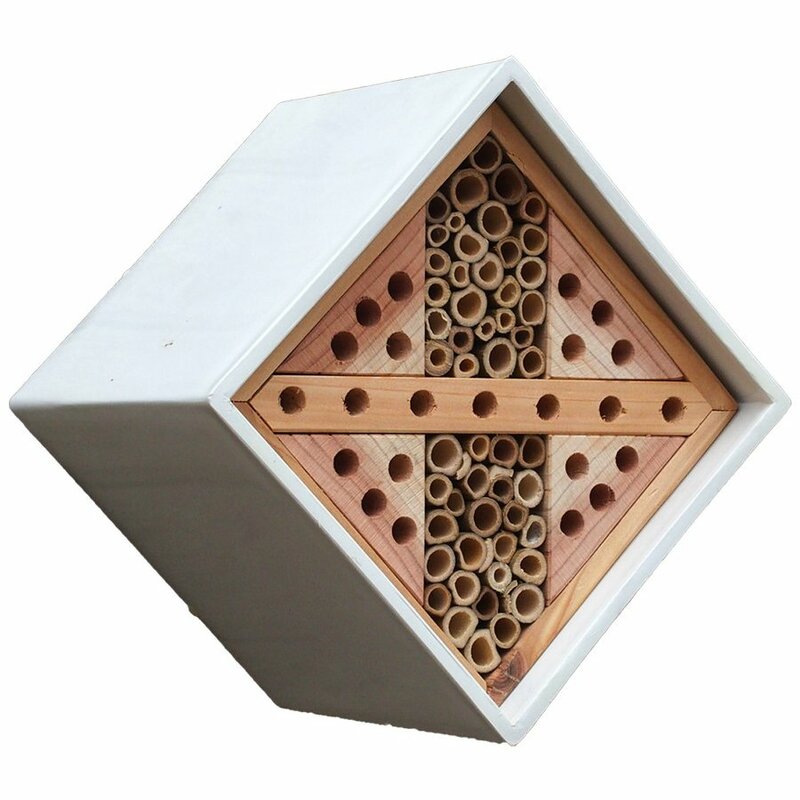 The Urban Bee Nester Box product ethics are indicated below. To learn more about these product ethics and to see related products, follow the links below. 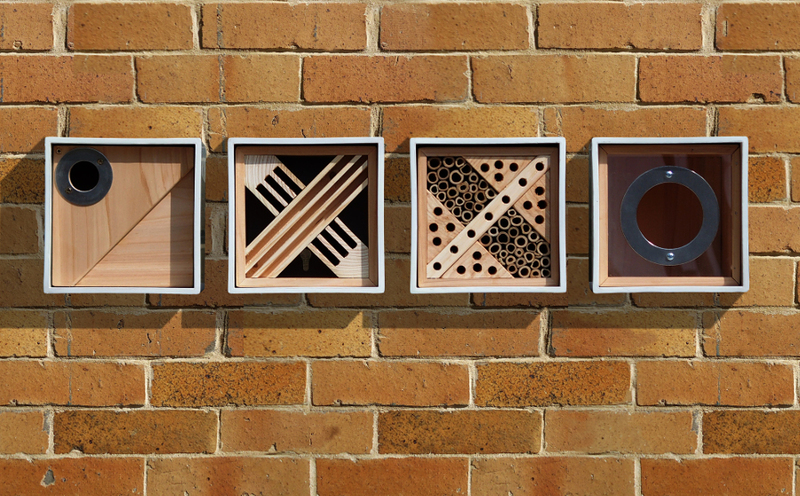 There are currently no questions to display about Urban Bee Nester Box. 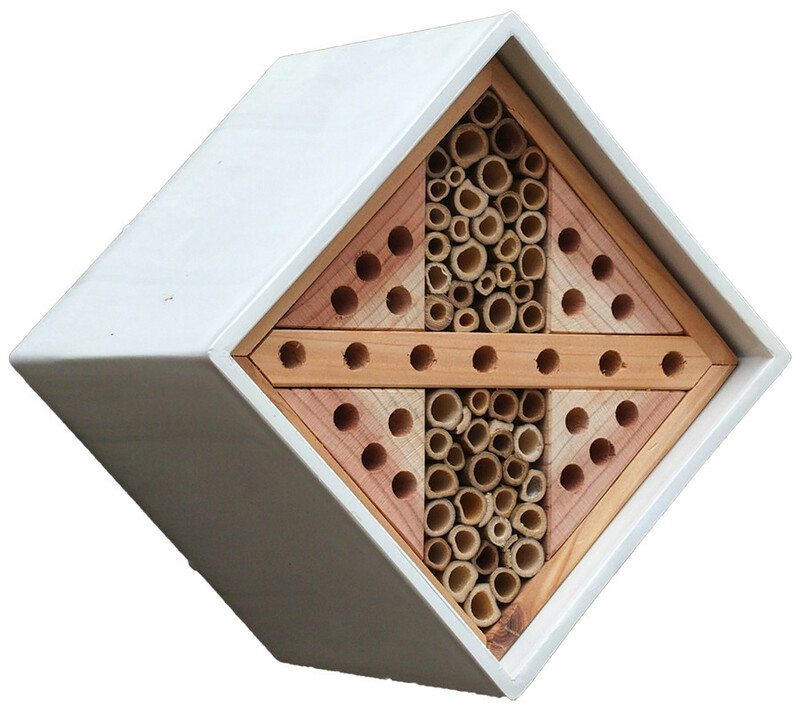 Wildlife World are a small UK company who specialise in producing wildlife habitats like hedgehog houses and bat boxes. Environmental concerns are not new to Wildlife World, they've been making products with an environmental bias for over 10 years. Products are made from either reclaimed or FSC certified timber and are finished with waterbased paints and stains which are good for the people who make them, and good for animal, bird and insect tenants that move in!